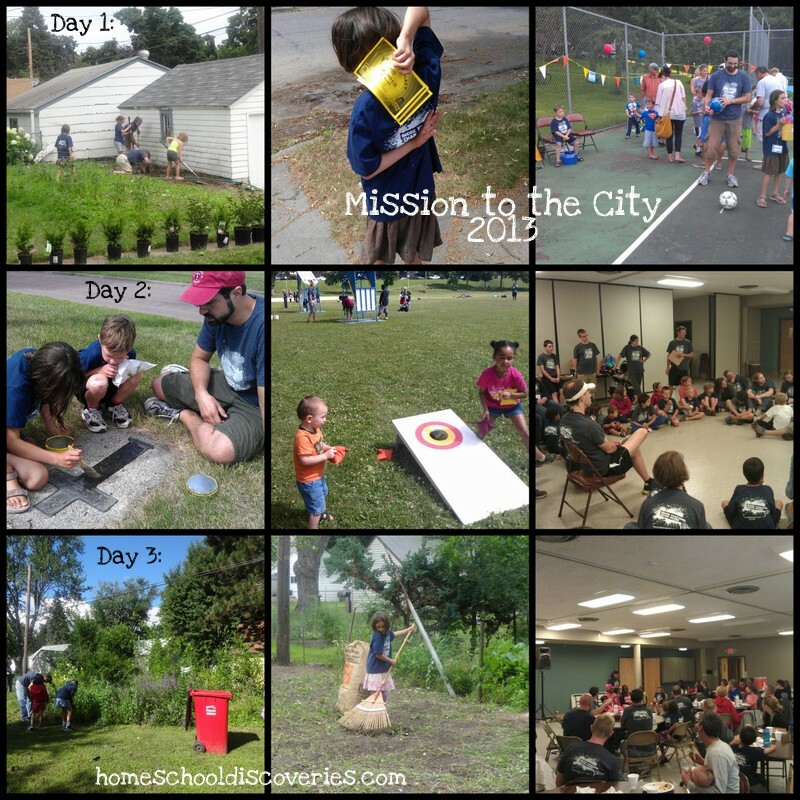 Our church has been organizing a “local mission trip” called Mission to the City for 15 years. This was our second year in a row participating in a family-oriented three-day version of this “trip”, last Thursday through Saturday. Going overseas with small children for a mission trip is often not very practical, but serving and reaching out in our community with kids along is very possible! About 80 people participated this year, including children old enough to engage in the projects we were doing (there’s not a set minimum age — it’s at the discretion of the parents). We participated with our two older kids (Miss M — age 9 and Mr E — age 6), while Mr. K (age 4) spent a few days at Grandma’s house and Mr. J (age 1.5) spent time with a series of babysitters and occasionally joined us when no babysitting was available. Day 1 (top row of collage): In the morning, our team of several families weeded and did other landscaping work at the home of a single mother in our church. In the afternoon, we promoted a carnival we would be helping organize on Day 2 at a neighborhood Boys and Girls club. Thursday night we volunteered at a local event called “Picnic in the Park” some families (including ours) helped with carnival games, while other families served food or sold tickets. Day 2 (middle row): We started out day 2 polishing plaques that honor ever soldier from our county who died during WWI! That’s 568 plaques, but we could only get about half done in the time allotted (we had done the other half last year). In the afternoon we ran a carnival at the Boys and Girls club, including games and serving food. That night we did something really unique called the “Holy Spirit Experience.” We were paired up with one other family to go out for an hour and a half (with a budget of $20) to do whatever we felt the Spirit was leading us to do. Our group went on a prayer walk and then blessed a few strangers by buying them ice cream at the Dairy Queen (kind of the “pay it forward” drive through sort of thing…but at a walk-up window). Other teams handed out ice cream to firefighters and police officers, bought snacks or ice cream for random strangers, or bought flowers for someone who was in need of encouragement. One team even helped someone pay for a tow truck after a fender bender. Everyone spent a lot of time praying. It was super encouraging to come back at the end and hear everyone’s stories. Day 3 (bottom row): On the third and final day, our team was once again doing landscaping work — this time at the home of a 92 year old widow in our church. It was awesome to not only bless her by clearing out a weedy area, but also to sit and talk with her and listen to her stories! Our afternoon plans to hand out free water at a lake (while some others were to volunteer at yet another carnival) were rained out. So we cleaned and did projects at our church building instead. We wrapped up MTTC 2013 with a cultural dinner — we ate authentic Ethiopian food and learned about Africa from two ladies who have come to the US (one from Nigeria and one from Uganda) in the past few years. We were thrilled to have this opportunity again this year to expose our children to service and missions opportunities right here in our own city, and to have the opportunity to serve along side them! This Minnesota Historical Society site is a working 1860s farm. Costumed farmers dress as they would have in that time period, and crops and livestock are raised as it was done in the 19th century. This is a great “hands on” place for kids to visit. Visitors are encouraged to jump in and pitch hay, pull weeds, work alongside the women cooking in the kitchen, and even help in the fields or feed the animals (when the farmers give the okay). 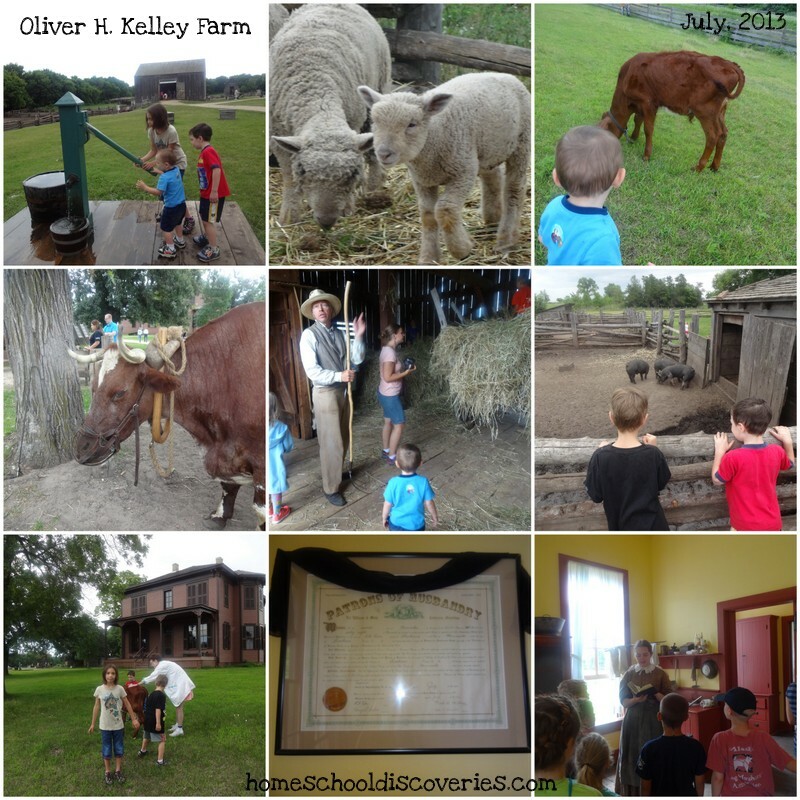 I had heard that this historic farm was a fun field trip from friends who had visited before (and it’s only about a 45 minute drive from our house!). What I didn’t know until our visit was that Oliver H. Kelley was a person of historical significance. Besides being the original owner of this farm, Mr. Kelley was the founder of a farming organization called the Order of Patrons of Husbandry, or “Grange” as it is commonly known. The Grange is a fraternal organization for farmers that is still in existence today. Grange causes over the years have included regulation of railroads and grain warehouses, rural free mail delivery, temperance, direct election of senators and women’s suffrage. Linking up to Fantastic Foto Field Trips! Mr. E: (after seeing that our neighborhood Aldi store is completely rearranged): “I know how they did this…some Ninjas came in during the middle of the night and moved everything around.” And then a few minutes later, Mr. K says to a random Aldi employee stocking shelves, “Hi Ninja!” (of course, the guy looked really confused so I felt obligated to explain Mr K’s greeting). I’m still catching up with my “Blogging Through the Alphabet” challenge posts! See more alphabet posts at benandme.com. 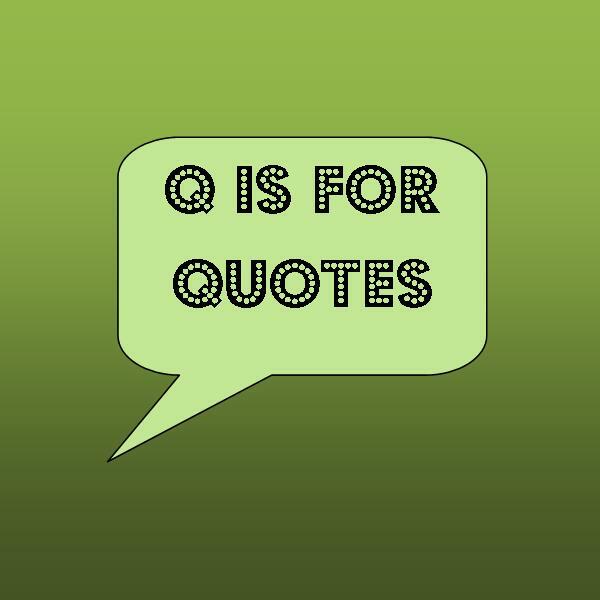 Since I have ten quotes, I’m also linking up with Top Ten Tuesday @ Many Little Blessings. There’s this common stereotype of homeschoolers that we all like to do school in our pajamas. I feel like I hear homeschoolers touting this all the time as a major benefit of homeschooling — you don’t even have to get dressed to do it. While I am sure this fits and is a benefit for many families, I can assure you that not all homeschoolers like to do school in their pajamas. We I certainly don’t. Now, let me just say that I think I must have a “thing” about pajamas. I have never been the type to want to stay in my PJs all day. I don’t feel like the day is really started unless I have changed clothes. I discovered as soon as I had kids that I felt strongly about them only wearing pajamas at bedtime. You know how most people like have their little babies lounge around in their cute little footie sleepers? Well, I discovered that this drove me crazy! So even when my kids were tiny, I still dressed them in “day time” clothes for the day, and the cute footie PJs for sleeping. Crazy, I know. I’m still catching up with my “Blogging Through the Alphabet” challenge posts! See more alphabet posts at benandme.com. 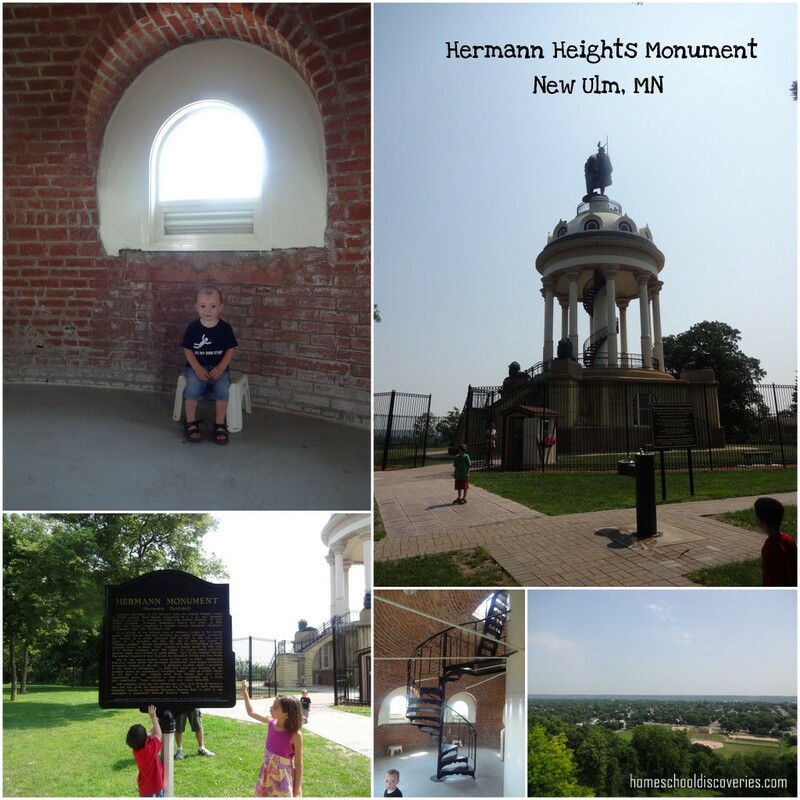 The Hermann Heights monument comemerates the role that Hermann (also known as Arminius) played in the Battle of the Teutoburg Forest in 9 A.D. — a victory for Germanic tribes over the Romans. Over the centuries Hermann became a sort of national hero, and a much larger statue of Hermann can be seen in Germany, somewhat near the site of the battle. You can read much more about Hermann and the monuments to him on Wikipedia. 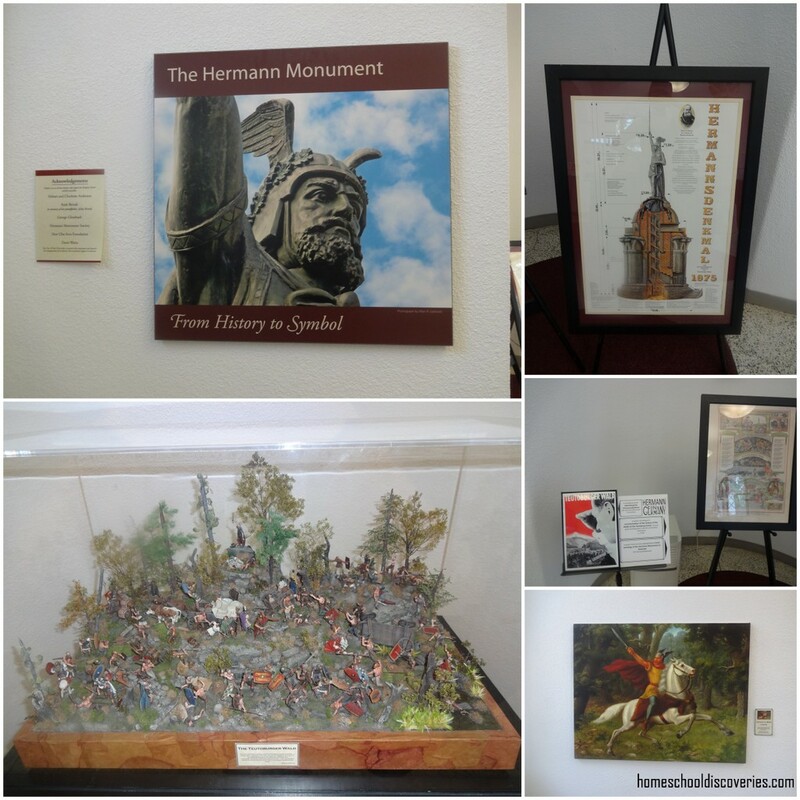 The displays were quite interesting and I learned much about Hermann that I had forgotten (or never learned) since my childhood visits to Hermann the German. Linking up to Fantastic Foto Field Trips @ HSBA Post! This past weekend we took a three day camping trip to New Ulm, Minnesota. It’s about a two hour drive from our home in Minneapolis, and is a town I lived in for about four and a half years as a child (from about age 5.5 to age 10). Besides a fun and relaxing time spent camping, we also did a bit of sight seeing. Miss M and I both were very excited to visit the Wanda Gag House. Gag is well known as the author of Millions of Cats, and we have enjoyed several of her other picture books as well. 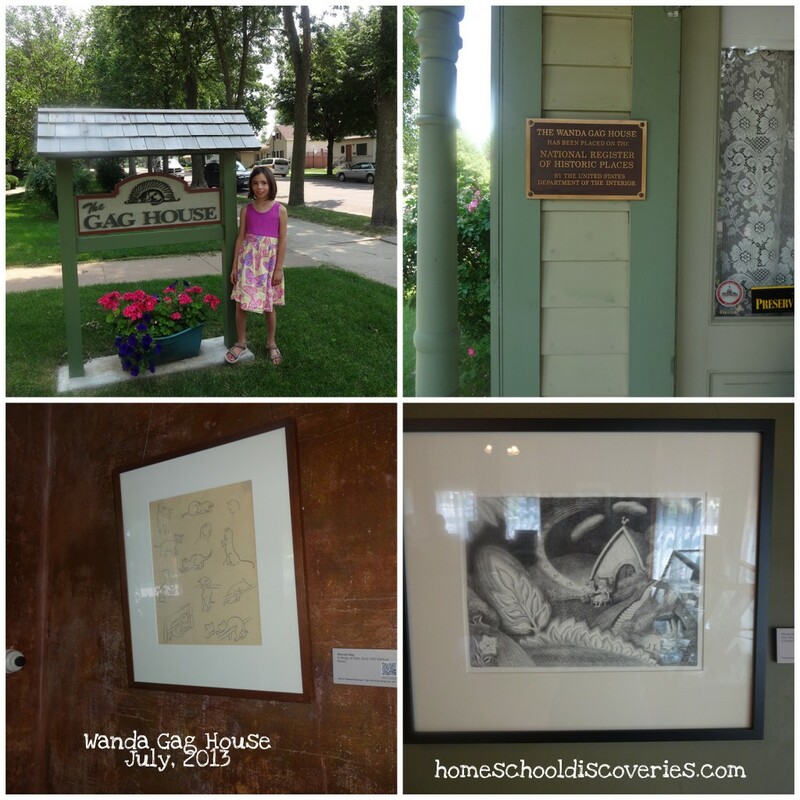 Gag lived in New Ulm her entire childhood in this house that is now a museum. I thought perhaps the boys would not be very keen on seeing the house — but they were excited to see it too! So, we all went in to view the house. This was my first visit to the Gag house as well — The house was not purchased for restoration and preservation until the year after I moved away from New Ulm. The Gag home has been restored in a number of ways to the look it would have had when Wanda and her six siblings lived there. After many, many layers of paint and wall paper were removed, decorative painting and scrollwork done done by Wanda’s father Anton Gag were visible on the walls! A number of works of Wanda’s art are displayed on the main floor of the house, while works of art by younger sister Flavia (who was also an author and illustrator of children’s books! ), and her father Anton are on display on the 2nd floor and in the attic space. We learned many interesting facts about Wanda and her family. One little tidbit I found interesting — the hand lettering featured in Millions of Cats and some of Gag’s other works was not done by Wanda but by one of her younger brothers. What a talented family! We bought our very own copy of Wanda Gag: The Girl Who Lived to Draw to take home with us. We greatly enjoyed this picture book biography on at least two occasions from the library. Linking up with Fantastic Foto Field Trips @ HSBA Post!